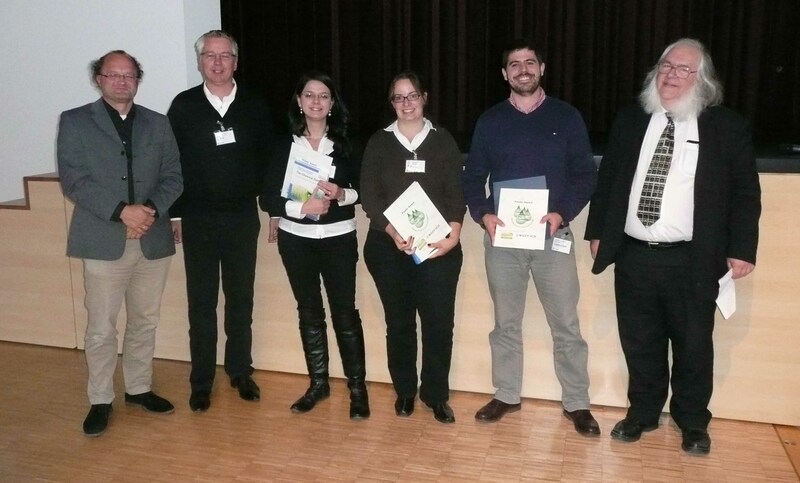 Sarah Ruthven, Editor of Green Chemistry, attended the 2012 Green Solvents for Synthesis Conference, held from the 8th-10th October 2012 in Boppard, Germany. The theme of this year’s installment of the biennial conference series was Advanced Concepts for Solution Phase Chemistry and Processes. Professor Walter Leitner, Chair of the Green Chemistry Editorial Board, was Chairman of the organising committee, which also included Advisory Board members Professor Kenneth Seddon and Professor Peter Wasserscheid. The focus of the conference was centre around energy-efficient processes, selectivity control for waste prevention, alternative and efficient use of raw materials, activation and capture of CO2and integrated reaction and separation processes. The 3-day programme included 12 Keynote lectures delivered by internationally renowned experts and a poster session, where three of the top posters were awarded with prizes by the organising committee. One of these prizes was sponsored by Green Chemistry, and the recipient of was Mr Victor López-López for his poster on “Energy-efficient CO2-capture with solutions based on ionic liquids” (pictured second from the left). He was awarded with a certificate and a copy of Sustainable Solutions for Modern Economies. Many congratulations to Victor on receiving this prize.